Big K.R.I.T. 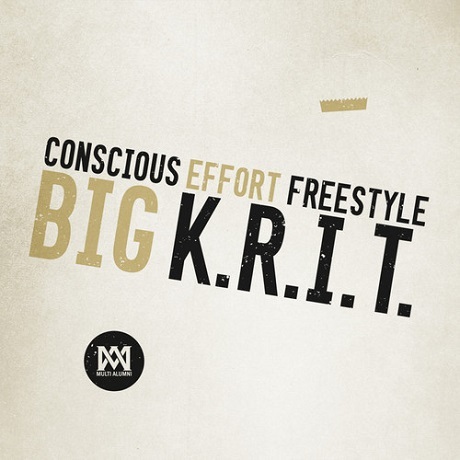 "Conscious Effort Freestyle"
It's day two of Big K.R.I.T. 's "Week of K.R.I.T." singles series, and the Mississippi spitter's latest freebie is an inward-gazing slow-groover dubbed "Conscious Effort Freestyle." Atop a velvety, falsetto-vocals-assisted soul sample, the rapper channels his third eye vision to analyze how money often changes who we are inside. While chastising those who elevate themselves on a platform, the MC notes that he may be king, but he's "so modest about my rivalries." That still doesn't stop him from reminding us he's the best in the game, though. You can stream or download the track down below. Ty Dolla $ign Maps Out "Don't Judge Me Tour"